World première of the new 124 Spider S-Design, the ideal vehicle for those who seek emotions under the open sky, a strong character and dynamic flair. It is joined by 500X and Tipo, also in S-Design trim. Technology and style are the strengths of 500X Mirror, 500 Mirror and 500L Mirror: the UconnectTMinfotainment system with Apple CarPlayTM integration and Android AutoTM compatibility, special technological blue livery and unique details. Mirror is the first special series dedicated to the whole 500 family, the evolution of the Fiat icon that has seduced millions of motorists all over the world. The special series have always been a unique feature of the Fiat brand, one of the keys to the success of many models across the Fiat range and above all, the secret behind the eternal youth of the iconic 500. At the 2018 Geneva International Motor Show, the Fiat brand is exhibiting its range with a display that is fuller and more complete than ever, featuring the S-Design and Mirror families, which offer solutions to the most advanced requirements in terms of style, personality and connectivity. The Geneva Motor Show will see the début of the 124 Spider S-Design, alongside the 5-Door Tipo and the 500X S-Design, all vehicles with very different characteristics and dedicated to those who like to express their own dynamic character also by choosing a car with a distinctive identity. The S-Design is indeed the Fiat answer to those who seek style and content with a contemporary, dynamic and distinctive character. In this trim, the vehicle is a compendium of sportiness, style and seduction, capable of winning over motorists at first glance. It has an unmistakable personality, which reflects that of a young, dynamic consumer. For the very first time, a special series carries across the FIAT model range and makes a perfect match for both of the worlds embodied by the brand – the functional and emotional sides of Fiat. 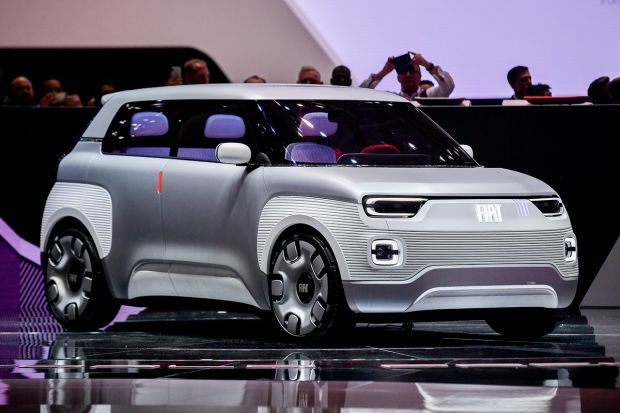 But in Geneva, Fiat is not just all about S-Design. An area of the stand will also host the Mirror family, the first special series to embrace the entire 500 family. Fiat’s special series have always been a unique feature of the brand, one of the keys to the success of many models across the FIAT range and, above all, that of the iconic Fiat 500, a vehicle that comes in a host of versions, and has explored the most diverse territories, so further prolonging its unique, eternal youth. In its long history, some of the most memorable versions include the 500C by Gucci, the 500 by Diesel, the 500 Riva and the recent 500-60th and Anniversary editions, dedicated to the 60th anniversary of the icon of the house of Fiat. Since its launch, Fiat 500 has broken every rule in the book of the traditional market, showing that even a small vehicle can generate a family of affordable and attractive models capable of guaranteeing maximum levels of personality and functionality, and become a resounding international success to boot. 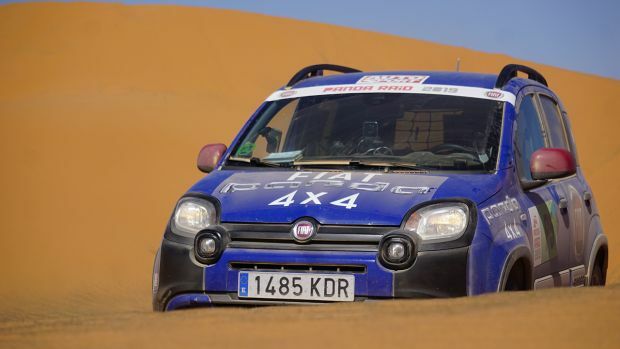 Eighty per cent of all the Fiat 500 vehicles produced are sold outside Italy and in 2017 the Fiat icon was the leading car in eight countries worldwide, also making the leaderboard in another seven nations. 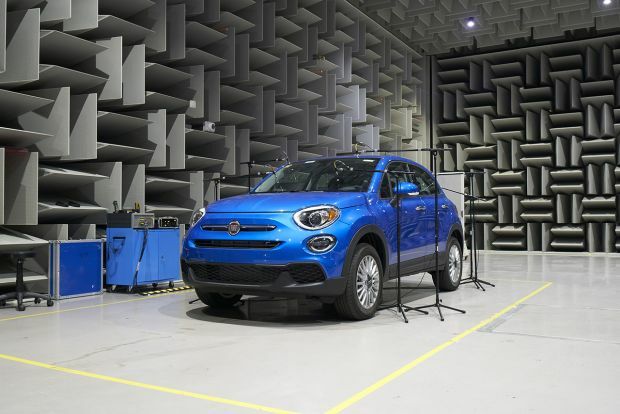 With the 500L and 500X versions, Fiat 500 moves away from the traditional segment classification, combining characteristics from different categories and breathing life into two vehicles that are benchmarks in their respective segments. 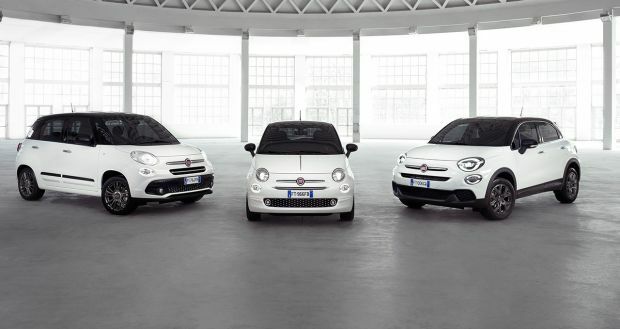 In this way, the 500 family offers three very diverse vehicles in terms of vocation and personality, which meet the requirements of all customers and the rising demand for new experiences, while continuing to share the same original and characteristic exciting style of the Fiat icon. And indeed style, along with technology, are undoubtedly the pros of the new Mirror special series, available across the entire 500 family, thanks to the 7-inch HD Live UconnectTM radio with high resolution touchscreen, and to the range’s Apple CarPlayTM integration and Android AutoTM compatibility, which make the driving experience into an all-round life experience for the motorist to enjoy in total safety. 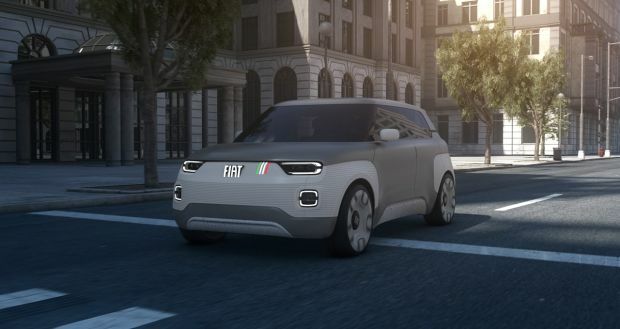 So with the Mirror and S-Design families, the Fiat brand meets the latest needs of the market and offers every customer the chance to express their own identity also through the vehicle they drive. The Fiat stand is completed with the wide array of accessories and products developed and designed by Mopar to personalise every vehicle. 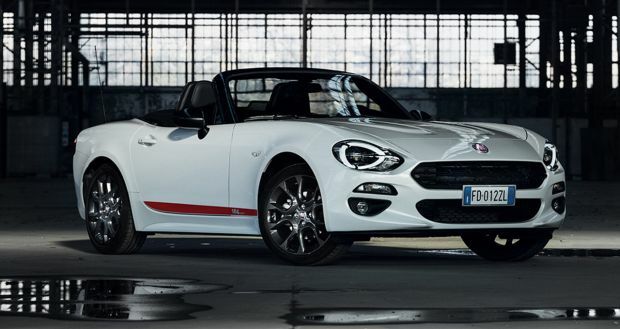 Making its début in Geneva will be the new Fiat 124 Spider, the special series that spotlights the dynamism and sportiness of the triumphant 2-seater roadster from the house of Fiat. Presented in the rich “Luxury” trim level, it will feature additional style details sure to win over fans of high performance and strong emotion behind the wheel under an open sky. Indeed, Mopar®, the Official Service Partner of Fiat for Services, Spare Parts and Original Accessories, Roadside Assistance and Customer Care, has fitted an exclusive package of accessories on each vehicle as standard. The new collection includes roll bar, front pillar and rear mirror caps in polished steel. This unique look is completed by 17-inch lightweight alloy wheel rims in a special design, a tricolour badge on the rear and a sporty red adhesive stripe which draws attention to the classic body side, the low centre of gravity and the seating position, tilted back towards the rear axle, providing a shapely silhouette with the proportions of a thoroughbred sports car. And as if style wasn’t enough, the contents of the vehicle are top class too. The 124 Spider S-Design always offers the following features as standard equipment: four airbags, automatic climate control, mp3 radio with USB port and four speakers, leather seats and steering wheel, lower fascia and brow of the dashboard with visible seams, cruise control and Keyless Go system. The vehicle also presents the Active Hood Lift System, a dual chrome exhaust and fog lights. And when the engine gets going, the emotions rev up too: the Fiat 124 Spider S-Design is equipped with the reliable 1.4-litre turbo four-cylinder engine with MultiAir technology, which delivers 140 HP power and 240 Nm of torque, and is available with a six-speed manual gear and automatic transmission. The performances, with manual transmission are exceptional: a maximum speed of 215 km/h and 7.5 seconds to accelerate from 0 to 100 km/h (instead 214 km/h and 7.6 seconds are the data for the automatic version). The 124 Spider’s suspension uses a double-wishbone layout in front and a multilink in the rear, specifically tuned for greater stability while braking and turning. Steering is precise and responsive with the use of an electric power assist system. In short, the combination of the steering and suspension set-ups lightweight frame, balanced weight distribution and turbocharged engine ensures a dynamic driving experience. Noise vibration and harshness (NVH) enhancements, including an acoustic front windscreen, also help to deliver a refined, quiet ride. Fiat 500X, in the S-Design trim, is a winning combination of urban sportiness, style and seduction, capable of winning anyone over at first glance – an unmistakeable personality designed to reflect that of a young, metropolitan public. The car on the stand, an S-Design Cross, is fitted with the high-performance 170 HP 1.4 MultiAir engine and sports an automatic AT9 transmission and all-wheel drive. Its exclusive matte livery features exclusive details in the polished steel Myron finish, including the side mouldings, door handles, front spoiler, the rim of the rear headlights, the handle of the boot and the mirror caps. It also offers tinted rear windows. The wheel rims of the vehicle on the stand are 18-inch and sport a distinctive two-tone colour finish. Finally, the Xenon headlights, also in polished steel, give the 500X a dynamic and distinctive gaze, which is immediately recognisable. These dark details are also replicated in the style of the interior, for example in the dashboard panel and in the mouldings of the central tunnel and door panels. Again in the interior, the specific S-Design seats feature a sporty fabric with embroidered, copper coloured logo. For the Tipo family, including the 4-Door, 5-Door and Station Wagon versions, 2017 has seen some important sales results, with over 180,000 vehicles sold in over 50 countries within the EMEA area. In Europe, for the second year running, it was the segment C vehicle to register the highest growth rate compared with the previous year, accounting for 4.1% of the total market share. It is a stable market leader in Italy with a share of 20.7% and for the Fiat brand it is the second most global car-line after the 500, with 70% of sales made outside Italy. The secret of its success is the unbeatable value provided by the combination of a distinctive personality, a simple range, the high level of practicality expressed by the best interior passenger and baggage spaces in the category and a surprisingly low price and running costs. The S-Design family would not be complete without the Tipo S-Design, exhibited in Geneva in the 5-Door version, flaunting the exclusive “Metropoli Grey” livery. The car is immediately recognisable thanks to its distinctive wide horizontal grille with Piano Black trims, which embraces the whole of the front. It ends with an even more aggressive feature in the Bi-Xenon headlights with the same trims as the grille, which enhance performance by 30% compared to the standard version. The Piano Black details continue on the edges of the sporty air inlets that surround the fog lights and on the rear view mirror caps. The new diamond finish 18″ alloy wheels give another very dynamic touch to the car’s image, while the version is completed by tinted rear windows and features such as the handles which are coloured to match the bodywork. The interior has been completely restyled, with seats and finishes chosen for their strong, distinctive personality. The twin needle stitched seams of the seats in leather and Airtex fabric and of the gear knob are a perfect match for the crossover patterned fabric on the steering wheel. The dashboard features details in “Piano Black” and has a large fascia in technical grey which spans the whole width of the cabin. The steering wheel and the frame of the gear lever boot have the same shiny black finish as the fascia. The bonnet of the car on display conceals the 1.6 Multijet 120 HP turbo diesel engine with DCT dual clutch automatic transmission, capable of providing 120 HP (88 kW) at 3,750 rpm with maximum torque of 320 Nm at 1,750 rpm, ensuring extraordinary gear flexibility and a quick, bold response. The S-Design version, also available in the Cinema Black, Coliseum Grey, Amore Red and Gelato White colours and with 120 HP 1.6 Multijet Diesel engine with manual gearbox, the 110 HP 1.6, E-Torq petrol engine with automatic transmission or a 120 HP LPG-petrol 1.4 T-jet unit, is a characterful, stylish addition to the Tipo family, and will shortly also be offered on the Tipo Station Wagon. In addition to its many unique aesthetic features, Tipo S-Design also offers the finest technology and connectivity as standard equipment, including the cutting edge 7-inch HD Live UconnectTM system with high resolution colour touchscreen and capacitive sensing, enabling the user to “pinch&swipe” the images as if using a tablet. Additionally, the steering commands enable the motorist to freely interact with Siri, thanks to the Siri Eyes Free technology. The Fiat Tipo S-Design is the best-connected Tipo ever: indeed, its standard equipment includes both Apple CarPlayTMintegration and Android AutoTM compatibility, enabling motorists to interact with their smartphone safely and intuitively. Specifically, Apple CarPlayTM enables the user to access the compatible contents and applications present on their iPhone, interacting with the radio display or with the voice commands. The motorist can view driving directions on Maps, make and receive phone calls, access text messages and listen to music, never once taking their eyes off the road. The system is also compatible with Android AutoTM, which transfers the Android experience to the car, by “projecting” applications and functions on to the central display. This enables the user to retrieve information and use the Google functions while driving in an easy, safe way. The motorist can also use Google MapsTM to obtain driving directions, or access music and communicate with friends thanks to the messaging applications. The new Mirror Family fits into Fiat’s long-established tradition of facilitating access to increasingly high-tech equipment and technologies that simplify the lives of both drivers and passengers. The 500X Mirror, 500L Mirror and 500 Mirror special series feature the latest technological innovations, enabling motorists to connect their smartphone with the UconnectTM infotainment system in a practical, safe way. Within the Mirror family, the 7-inch HD Live UconnectTM system (with high resolution touchscreen) can be integrated with Apple CarPlayTM and is compatible with Android AutoTM, enabling the user to “reflect” the environment of their smartphone onto the on-board display, and so use its main functions in full safety. The steering wheel commands also enable the driver to interact with the main functions of Uconnect distraction-free, and also with Siri, thanks to the Siri Eyes Free technology. But the new technological features in the Mirror Family don’t stop there. Drivers can also have the innovative Mopar®Connect system installed on their vehicle. This combines remote assistance services and control functions to guarantee peace of mind on the road, as well as the tranquillity of having the vehicle under constant control via smartphone. The rear parking camera (on 500X and 500L only) and TomTom 3D integrated navigation system are also available on demand. The style of the three vehicles also draws inspiration from the world of technology, starting from the livery in shades of blue, the reference colour for hi-tech and connectivity. Each of the three versions also stands out for the “mirror” logo on the pillar and a number of distinctive chrome details. The new 500 Mirror, 500X Mirror and 500L Mirror special series are therefore designed for the customers who are most interested in the world of connectivity and seek the latest trends in the field of infotainment, with a close eye on the style aspect too. Specifically, the Fiat 500 Mirror is dedicated to the world of the Millennials and comes in both a sedan version with glass roof and in the iconic convertible. The Fiat 500L is the car for families that are always connected, with the new two-tone Venezia Blue livery combined with the exclusive matte grey roof and 17-inch alloy wheel rims with diamond finish available on request. The 500X Mirror is the car for young dynamic motorists with the brand new matte Jeans Blue colour, 17-inch matte black alloy wheel rims with diamond finish and front Bi-Xenon headlights. Inside it sports an exclusive matte Jeans Blue fascia and new special upholstery, enhancing the seats with blue stitching. Apple CarPlayTM enables the user to access the compatible contents and applications present on their iPhone, interacting with the radio display or with the voice commands. Thanks to Maps, the user can view driving directions optimised based on the traffic conditions, recall places they have visited recently and call up their favourites. They can also make and receive phone calls, access text messages and listen to music, without ever taking their eyes off the road. The system is also compatible with Android AutoTM, which enables the applications and functions of the user’s smartphone to be “reflected” on the display in the middle of the vehicle, so the motorist can retrieve all the information required while driving, easily and safely. The driver can use Google MapsTM to receive road directions and easily access music, multimedia content and their favourite messaging applications. Easy, immediate interaction with devices guarantees the convenience of maintaining the same operating system even in the car, for constantly connected and safe driving, and means great quality of life on-board as well as improved ergonomics. Based on the Pop Star trim level, the new 500X Mirror is the perfect blend of style and technology, characterised by exclusive colour combinations and specific standard equipment. The vehicle on show in Geneva has a new distinctive matte Jeans Blue livery (available on demand) and sophisticated satin-chrome details, including exterior handles, side mouldings, fog light bezels, mirror caps and roof bars, the latter on demand. The look is accented further by the “Mirror” badge on the pillar, elegant 17-inch black diamond-finish alloy rims and efficient Xenon headlights. The same fresh and young appeal continues on the inside where the exclusive Blue Jeans dashboard fascia meets the new seat upholstery with blue stitching. Additionally, the 7-inch HD LIVE UconnectTM system is available as standard, as indeed it is on all the Mirror family, along with Apple CarPlay integration and Android AutoTM compatibility. The display vehicle is fitted with the 1.4 MultiAir 140 HP engine and DCT transmission, and the range also features the 1.6 e-TorQ 110 HP petrol engine, the 1.3 Multijet II 95 HP and 1.6 Multijet II 120 HP turbo diesel engines, also with DCT transmission, and the bi-fuel petrol and LPG 1.4 T-Jet 120 HP engines. Naturally, the interior hosts a number of outstanding features too, including the 7-inch HD LIVE UconnectTM system, available as standard equipment on the Mirror family, with Apple CarPlay integration and Android AutoTM compatibility. The version exhibited on the stand also showcases the 16-inch alloy wheel rims and special Mirror seats, available on demand, and offers visitors the chance to discover the functions of the new Mopar Connect service. The 500 Mirror is available with all the engines of the Lounge versions in the 500 range. The 500L Mirror exhibited at the Motor Show will be introducing a new exclusive two-tone Venezia blue livery and matte grey roof combo, with chrome elements on the front and rear bumper panels, side mouldings and matching Matte Grey mirror caps. The end result is striking and visually evokes the high-tech world. The result is “certified” by the “Mirror” badge on the pillar. The vehicle on display is completed with fog lights, 17-inch alloy wheel rims with diamond finish, front armrest in the centre, rear parking sensors with rear camera and the exclusive Hi-Fi BeatsAudio system. Under the bonnet, the vehicle features a bi-fuel 1.4 TJet 120 HP petrol turbo engine. The 500L Mirror is available with all the engines of the Pop Star trim levels in the 500L range. On the new Mirror range, Mopar® Connect is available on demand. This is the innovative set of connected services dedicated to the safety and remote control of the vehicle, which can be integrated with the Uconnect LIVE services, adding new functions: indeed, the customers who choose Mopar® Connect have access to a whole series of additional services, again via the application Uconnect LIVE. These include roadside or even accident assistance, and vehicle location following theft. It is also possible to control some functions remotely, like locking or unlocking the doors or sending an alert if the car exceeds a certain speed limit or leaves a reference zone previously delimited on a map. Finally, Mopar® Connect makes it possible to view the location of the parked car and information about its condition, such as the battery charge, tyre pressures and fuel level. Thanks to the services of Mopar® Connect, the customer has immediate access to the vehicle data and is notified if and when ordinary and extraordinary maintenance interventions are required. This means that the customer is ensured greater safety and protection on the road, as well as peace of mind and constant control of the vehicle, all accessed via smartphone. The stand in Geneva is all set to welcome visitors with typical Italian elegance and style. It is a brand new exhibition space that captures the forms and meets the requirements of contemporary design. 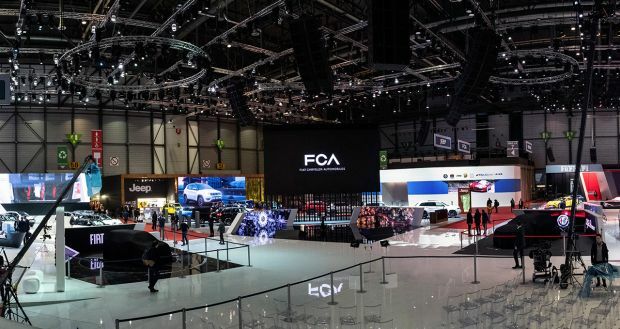 In this edition of the International Motor Show, the Fiat vehicles will also be joined by the Abarth vehicles, underlining the link between the two brands. The two worlds will maintain their respective characteristic traits and be displayed in easily identifiable areas of the stand that are separate but adjoining, with no clear dividing lines. There will also be a dedicated area in which visitors can get up close to the world of original accessories developed by Mopar®, in partnership with the Fiat brand. The new unique colour scheme of the alloy wheel rims available in 11 different shades is particularly notable, and this is one of the elements with which Mopar further expands the concept of tailoring, an element typical of Italian tradition, applying it to the automotive world to offer the motorist countless possibilities for customising their vehicle. Informative leaflets will be distributed and special elements will be placed around the stand, to acquaint the public with the products of FCA Bank, the financial company specialising in the automotive financing sector. The company operates in the main European markets-in Switzerland through FCA Capital Suisse SA, supporting the sales of vehicles in the Fiat Chrysler Automobiles Group through innovative financial and leasing products dedicated to dealer networks, private clients and companies.